We propose you to take an appointment with an agent of the tourist office. 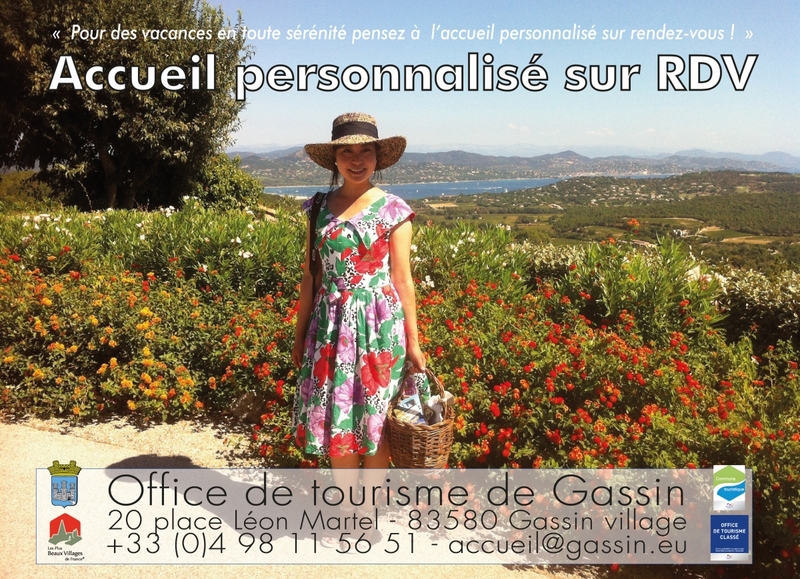 You can prepare with her a custom-made stay for Gassin and the gulf of Saint-Tropez according to your expectations, your tastes and to your desires. Appointment are on: Mondays afternoon from 2:30 pm till 4:30 pm, as well as Tuesdays and Fridays mornings from 9 am till 11 am, all year round.